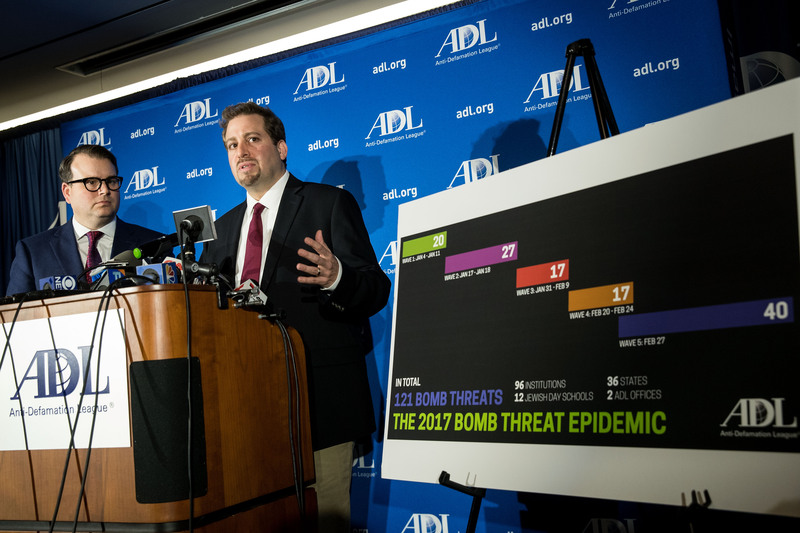 Stop ‘cancer’ of online hate, ADL tells social media execs – J. (From left) ADL regional director Seth Brysk, JCRC executive director Abby Porth, S.F. Hillel executive director Ollie Benn and SFSU Jewish studies professor Marc Dollinger at Nov. 13 conference. The grilling of social media company executives moved this week from Capitol Hill to San Francisco at the Anti-Defamation League’s annual conference, where officials from Facebook, YouTube and Reddit were questioned about efforts to combat hate speech. 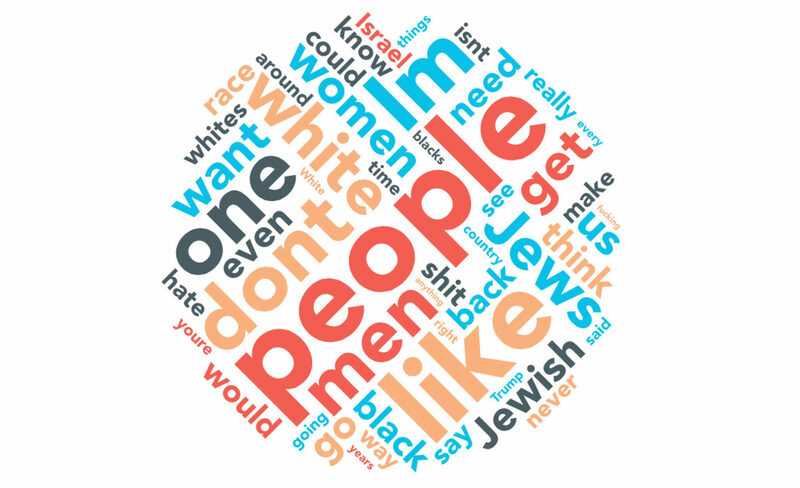 The spread of anti-Semitism and other forms of offensive speech were a focus of the ADL’s “Never Is Now!” event, at which the high-tech officials — whose colleagues were interrogated two weeks ago in Congress about Russian meddling in the 2016 U.S. elections — were challenged to explain why so much invective thrives on their sites. “We do not have to accept a world dominated by products that extremists easily can exploit,” ADL chief executive Jonathan Greenblatt told about 600 attendees at the Grand Hyatt on Union Square, including dozens of students from San Francisco’s Jewish Community High School of the Bay. A roomful of students at Kehillah Jewish High School in Palo Alto also followed the Nov. 13 conference by video link, asking Greenblatt questions in the opening session. The ADL announced during the conference that its new Silicon Valley-based Center on Technology and Society, part of the organization’s growing effort to battle online harassment and cyberhate (which Greenblatt called a “cancer on our society”), will receive $1.5 million from Omidyar Network to support operations over the next three years. The Redwood City-based philanthropic investment firm, which was established in 2004 by eBay founder Pierre Omidyar and his wife, Pam, also provided seed funding for the center. The officials from Facebook, YouTube and Reddit didn’t respond directly when asked why they can’t stop fabricated information from being disseminated on their sites and why they don’t use more editors to patrol against hate speech. Instead, they spoke of the difficulty of monitoring the billions of messages posted each day, and of the fact that definitions of hate speech differ from country to country. Reid Hoffman, co-founder of LinkedIn, said in a later conference session that he doesn’t think social media companies have bad intentions, but they have been slow to respond to the misuse of their sites. Greenblatt warned earlier that “verbal violence has a way of leading to actual violence,” and said the social media companies have a responsibility to keep hate speech off their platforms. 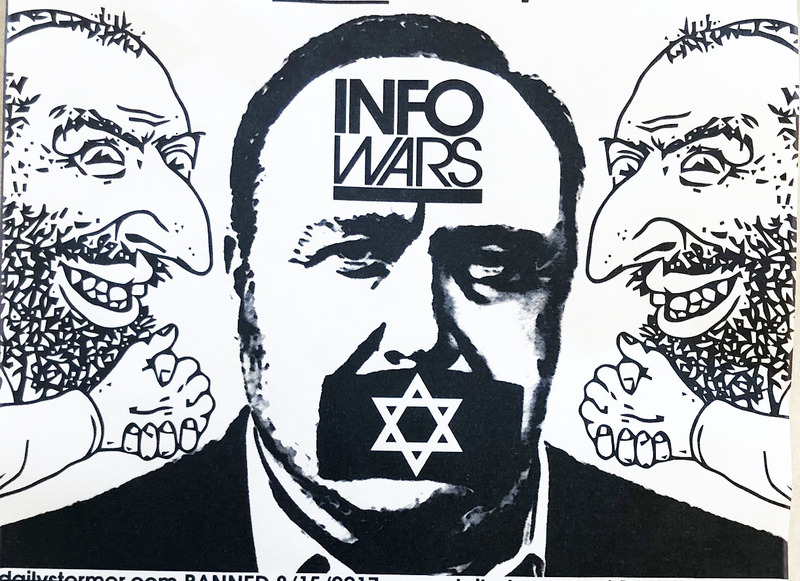 In addition to online hate speech, old-fashioned anti-Semitism was highlighted at the conference with a panel session on what some Jewish students and community leaders claim is systemic anti-Semitism at San Francisco State University. 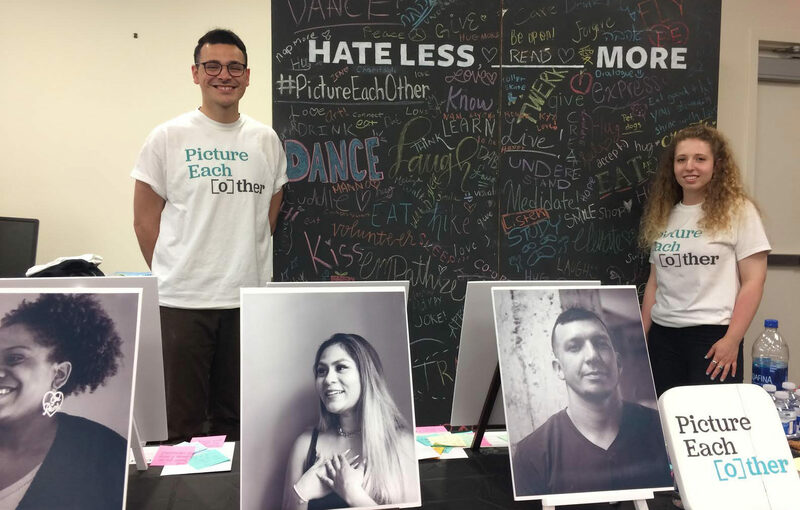 San Francisco Hillel executive director Ollie Benn said there is “an environment of discrimination” at SFSU that leads to Jewish students feeling intimidated. 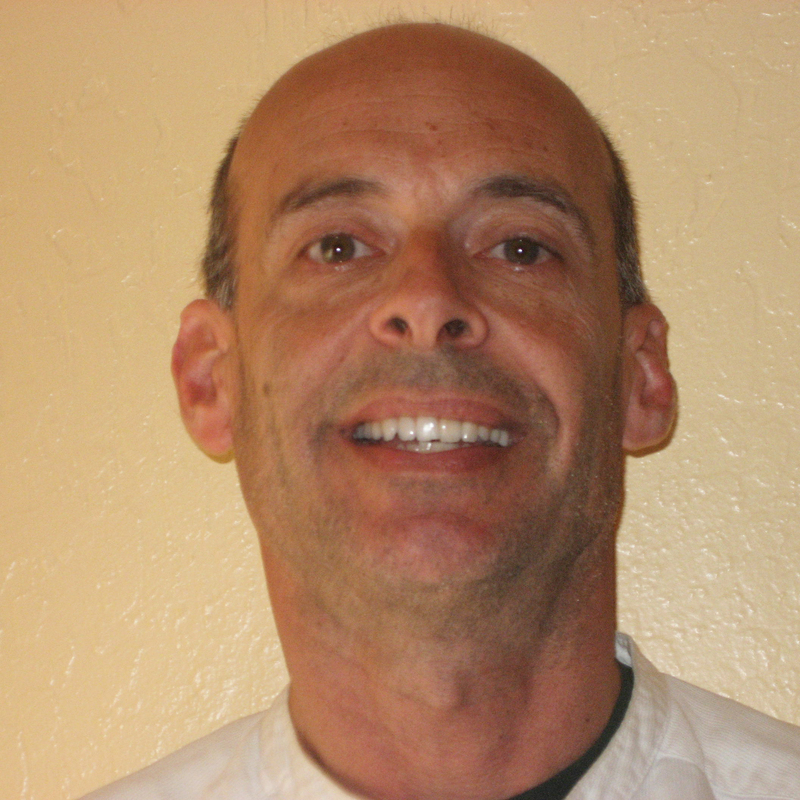 SFSU Jewish studies professor Marc Dollinger said “anti-normalization,” a movement that refuses to “normalize” the State of Israel or Zionism, excludes Jewish students from some campus discussions and activities. Abby Porth, executive director of the S.F-based Jewish Community Relations Council, pointed out that the Bay Area Jewish community has been very generous to SFSU and said that support should not be taken for granted. 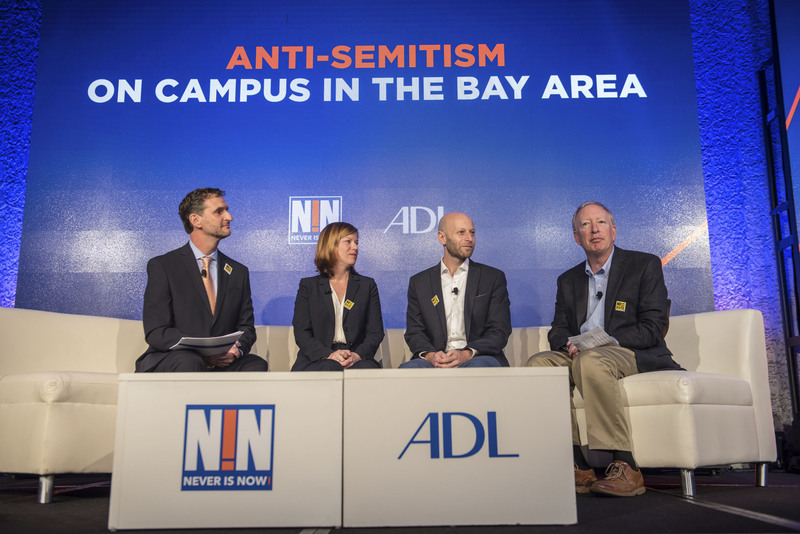 The ADL’s annual summit also included a session on “Athletes, Activism and Advocacy” that featured San Francisco 49ers owner Jed York and sports sociologist Harry Edwards. In September the ADL launched a Sports Leadership Council to increase the sports community’s efforts to promote understanding, unity and respect. Among the more than 30 members of the sports council are NBA Hall of Famer Kareem Abdul-Jabbar and former tennis star Billie Jean King.